Remember all those Major Taylor quotes Chris Piascik made a little while ago? He’s finally doing something with them. 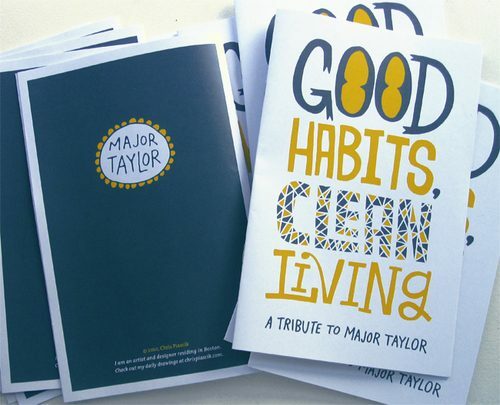 Available now, in a limited run of 50 pieces, is a Major Taylor Zine. Marshall Major Taylor (a velodrome world champion from Worcester, MA), renowned as The Fastest Bicycle Rider In The World in the early 1900’s, accredits his success as a world champion to the value of good habits and clean living. 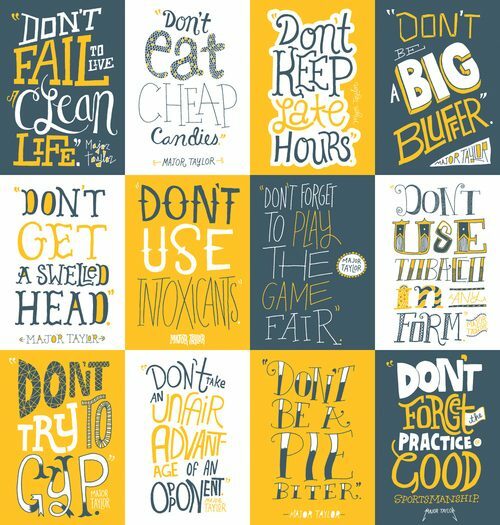 Don’t be a pie biter. Pick one up for $12 here!